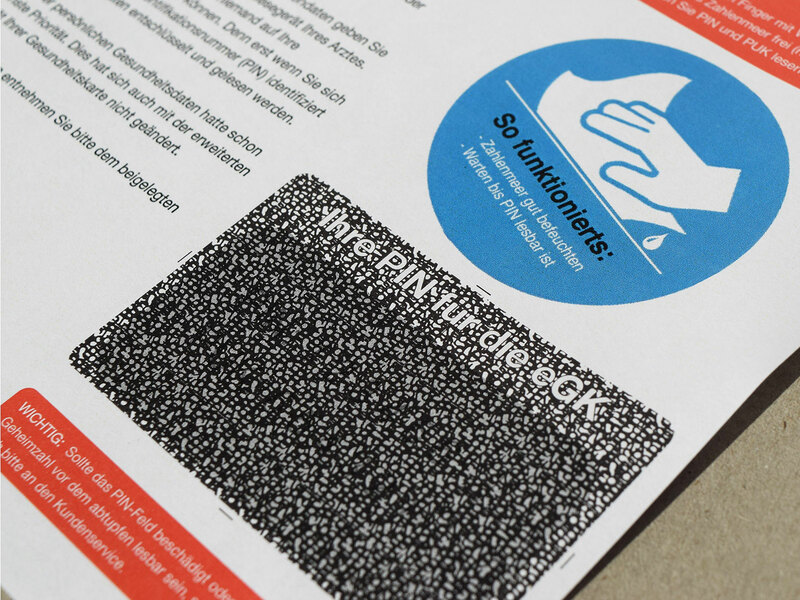 Unlike existing PIN mailer solutions, PhenoPINTM only uses a special black ink for printing a blackout area within the letter. The confidential information can be printed onto the secured area together with the address any other information in one single process step. The special ink used to print the secured area becomes transparent when exposed to water so that the confidential information within that area is visible. This procedure prevents manipulation already during manufacturing and ensures that the confidential information was not read on the way to the recipient, or makes it evident that the information has been tampered with. 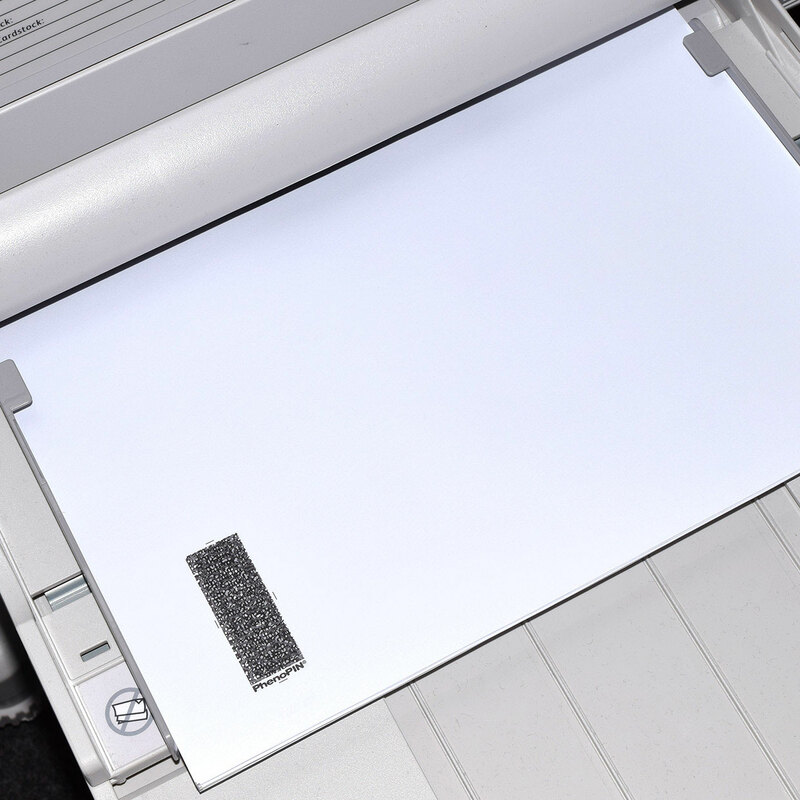 The entire PhenoPIN letter can be processed and personalised using common laser printing systems.